After a brief introduction, we discuss two applications of EVES. The first application is a proof of Jacobson's Theorem. The second application is a proof of an interpreter for a small programming language; portions of the interpreter proof are described in this paper. 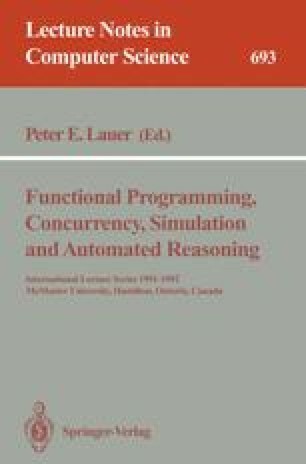 We conclude by discussing some of the issues raised by the international lecture series on “Functional Programming, Concurrency, Simulation and Automated Reasoning” (FPCSAR). The development of EVES was sponsored by the Canadian Department of National Defence through DSS contract W2207-8-AF78 and other contracts. This paper was originally ORA conference paper CP-92-6017-49.